No one will like to be a Smartphone designer these days, because the expectations of the Smartphone users have made this job hectic. The people are well aware of every feature of the Smartphone, and there will be nothing wrong if you call them experts. But, the leading manufacturers are somehow fulfilling the needs of the users around the world. Every manufacturer is looking to achieve jaw dropping package with the exciting and unique features. Indeed, the HTC has launched some exciting devices in the year 2013. This is the reason why the HTC is one of the best Smartphones selling Company. The latest masterpiece by the HTC is HTC One M8. The Smartphone crammed some exceptional feature, extra battery timing and improved designs, all these stuffs have made it to win so many accolades. HTC One M8 possesses the DNA of the exceptional breed of last year’s device. You will find in it the clear improvement in every field and attraction of the latest technology. On top of these, they have made the chassis of 90% metal, this is the notable improvement from the last year model which was just of about 70%. The brushed aluminum design has made this device captivating, it possesses the worth watching design. Let’s go back, HTC Desire was a noteworthy launch, which has made HTC a true competitor to the iPhone. After that, the HTC had experienced a dramatic fall in the sale and all the efforts were in the toilet. The remarkable product, the HTC one was truly a boost to the whole HTC team. Eventually, it was inept to cross the success line of iPhone 5S and the Samsung Galaxy s4, but it was successful employing the deep impact on the hearts of Smartphone lovers. Therefore, it was a tough decision to choose the best design. They have to make the people believe on the design trajectory they already have or they have to reinvent the design. There was a risk in offering completely new design as this could end up as a flop. Somehow, the HTC has made a brave decision to navigate choppy waters and create a masterpiece which could stand astride all categories. The HTC One M8 is truly a reinvention of original One. The HTC expands it in the right direction and adds in some extra features on the right places. Finally, they are successful in offering something which can compete with the big names in the Smartphone industry. Such creative thinking of the HTC team could place the company on the list of producers of the best-designed devices of all time. Of course, The HTC One M8 is an expensive option and it will not going to be the everyone’s taste. It is available in at least US $ 820, but its features and wonderful design satisfy the high price. This could be tough to purchase such expensive device for most of the people, but once you will purchase and hold the device in your hand, the feel of the solid and well-designed body will force you to accept such a premium. The other thing which could put off some people is the HTC One M8 screen size of 5 inches. You can’t operate it with a single hand, it is even bigger than the devices in 2013. The HTC should make some efforts in the mid-to-low Smartphone arena, but it is a completely different topic to discuss. The HTC One M8 is exceptional Smartphone which can survive the onslaught of the Galaxy 5S and the new iPhone 6. HTC One M8 is a good effort which will preserve HTC’s heritage and bring the bottom line closer to something more productive. HTC One M8 is all about the latest version of the Android and the fast processor. They don’t hesitate to point out that the One M8 builds on the heritage of the previous versions, but it is certainly an improved version not only in its functionality but also in the design. HTC One M8 has 90% of aluminum casing, it is clearly an impressive jump from the 70% previously. The introduction of this metal frame and the more curved back and sides are the significant changes in HTC One M8. 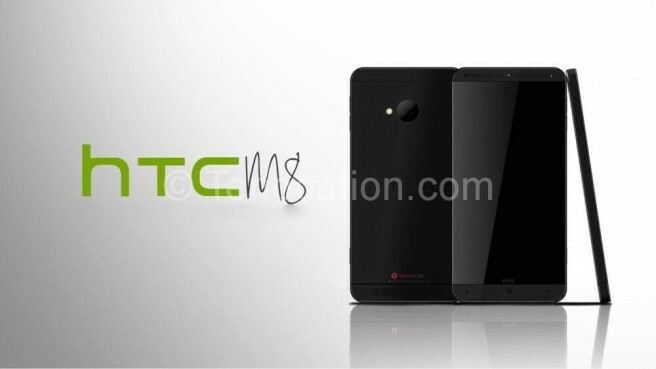 Few brands-agnostic people have already taken a step into comparing the HTC One m8 and the couple of other competitors, and they have stated that the latest HTC One is a step ahead in design stakes. The features which will help the HTC One M8 to lead the way in the design stakes are the weight and the size. Spending so much on the Smartphone demands to feel premium. The iPhone is beautiful, but too light to feel premium. You will unintentionally make your opinion about the device on holding it in the hands first time. The metal body of the HTC One M8 and 9.35 mm thickness and 160 g weight will help you to make a good opinion about the device. Nowadays, the Smartphone designers are trying to pack on the grams, this is about bestowing the device a premium feel. At present, the devices are much heavier as compare to the device couple of years ago. 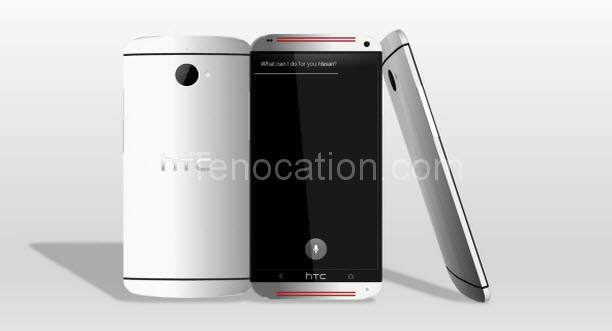 It is the right time to look into the HTC One M8 design. The flagship version is available in the metallic grey, a silver version and the rose gold one are also available. The brushed metal effect will help you to distinguish One M8 from its predecessor. At the bottom of the HTC One M8 there is a headphone jack. Some users will not like its location as they consider it an unintuitive place to add headphone jack. The design has made it easy to slip in and out of the pocket, but it does not hold water because such design makes it difficult to hold in portrait while listening music. But, there is something to cheer about for the HTC One M8 lovers that it is featuring the micro SD slot. The reasons why the HTC has re-introduced the expandable memory option are that they can achieve it without compromising the design and this could make many users to buy this Smartphone. It is always good to see a brand responding the consumers’ wants. Now you can enjoy filling your phone with the several photos, videos and music.